Operators working in the Montney have been using multi-well pad development as a means to simplify operations and cut down on the costs of drilling and completing a single well. A group of wells on a multi-well pad highlight higher production per dollar spent on completions from ball-activated StackFRAC® HD multi-stage systems. Operators in the Montney have been focusing on developing economies of scale to reduce project costs per well. Operators are also continually looking for completions technologies that can maximize production while minimizing cost. 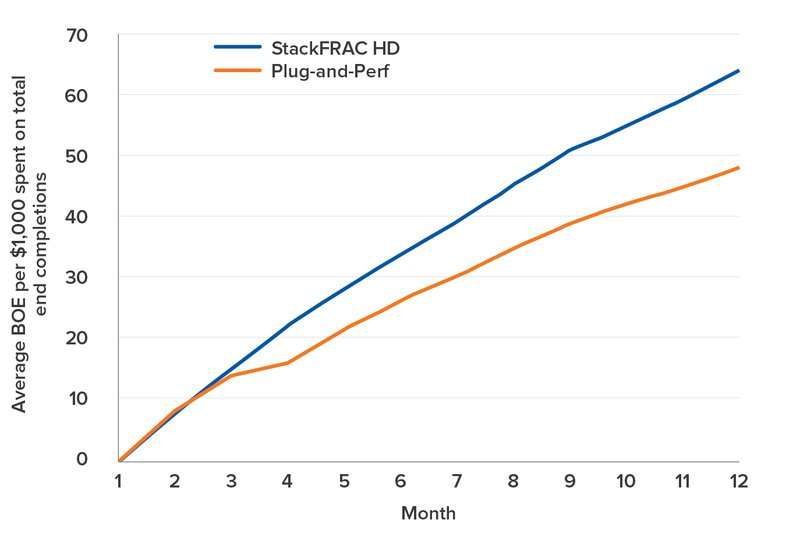 The StackFRAC HD ball-activated multi-stage completion system enables multiple zones in the reservoir to be sequentially treated in a single, continuous operation. Balls of incrementally larger size are pumped from surface to provide internal stage isolation for stimulation operations. The ball for the next stage is pumped with the flush of the previous stage, saving on time and fluid usage. The balls can be flowed back if desired, saving on the cost of drillouts. 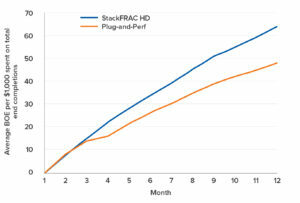 On multi-well pads, not requiring well intervention for stimulation reduces the surface footprint on location. average took 3 days longer and incurred higher completion costs. 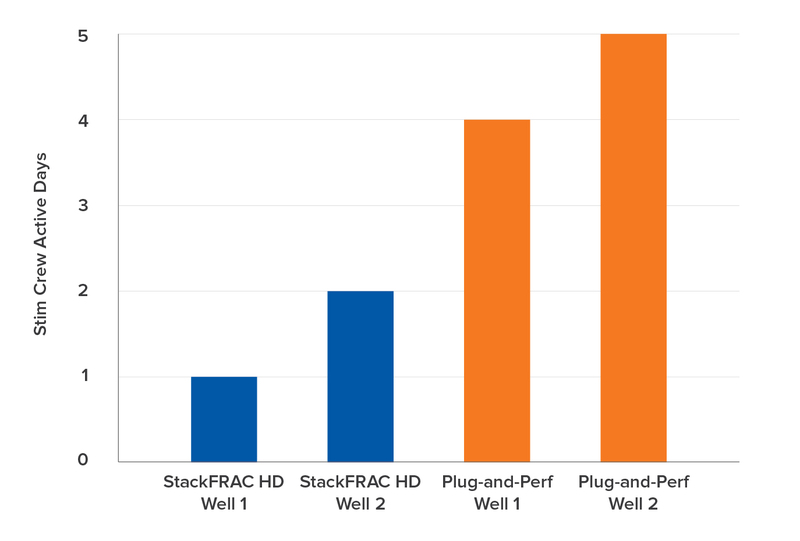 Packers Plus is the innovator of multi-stage fracturing systems, providing field-proven and cost-effective methods for completing horizontal wells with superior production results in numerous formations around the world, including mature reservoirs.